America’s dad who totally gets it, Tom Hanks, is getting his turn on the “What do you think of Trump’s sexist comments?” circuit. While promoting his new film, Inferno, Hanks offered the unwavering condemnation of Trump you’d expect from anyone who isn’t a Republican senator, saying, “I’m offended as a man. I’m not offended as a husband or a father. I’m offended as a guy,” and, “That’s just not right, I’m sorry. It’s not right at work. It’s not right in the locker room. It’s wrong, period. The end. That’s all.” But he also took his comments beyond the reaction to reprehensible misogyny and compared Trump’s entire presidential bid to an entirely unqualified person trying to pass himself off as a medical professional. 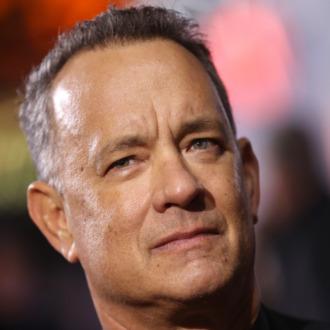 “It’s kind of like if you have a horrible, painful tooth, and you need a root canal,” said Hanks. “Who are you going to see? A guy who says, ‘Oh, I think I can figure that out, how to do a root canal for you. Lay down.’ Or are you going to see somebody who’s done 6,000 of them, has a degree on the wall, and has a great history and expertise when it comes down to it.” An apt metaphor for human root canal Donald Trump.